Indian Air Force released AFCAT 2019 notification, 30 December is the last date. 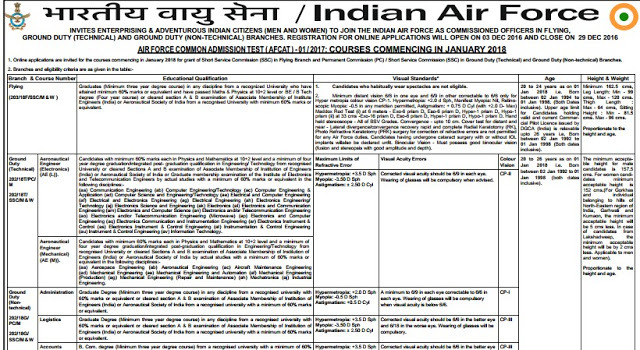 AFCAT 2019 notification: Indian Air Force released AFCAT 01/2019 notification for the recruitment of Group A Gazetted Officers in Flying and Ground Duty (Technical and Non-Technical) branches. Interested and eligible candidate can apply through official website of the Indian Air Force or a direct link also given in this article.